Bridgton Academy employs a full-time RN on campus to meet the medical needs of our students during school hours. The Athletic Trainer and the School Nurse coordinate all health care for the students, including setting up doctor appointments and filling prescriptions. Bridgton Academy has partnered with a primary care practice that is located within walking distance of campus. Dr. Craig Smith and the team at North Bridgton Family Practice will see our students for same day appointments should further medical attention be warranted. Students are allowed to keep medications in their room and are expected to self-administer unless there are contraindications to this practice (prescription and non-prescription meds). It is recommended that students bring a lockbox to campus for the storage of medication and other valuables. Please feel free to contact Kate Tucker throughout the summer with any questions. She can be reached via email at ktucker@bridgtonacademy.org or by cell phone at 207-831-1341. You can also leave a message for the Health Office at 207-647-3322. Students must supply the Health Office with an insurance prescription card (uploaded into SchoolDoc or presented as a paper copy on Registration Day). Co-payments for prescriptions are typically taken from a student’s SRE account unless he would prefer to use cash or a personal credit card. A prescription from your physician is also required for any existing medication you may need filled. These can be faxed to Hannaford Pharmacy in Bridgton (207-647-5795), mailed to the Health Center, given to the student to deliver to the Health Center or kept on file in the Health Center if the prescribing physician is willing to write prescriptions for more than one month. For help navigating these options, please contact the School Nurse, Kate Tucker. Controlled substance prescriptions need to be presented to the pharmacy in paper form. This can be accomplished in a number of ways that can be discussed with our School Nurse. One option that has been successful in alleviating refill difficulties throughout the year has been to set up an appointment with the doctor we utilize through North Bridgton Family Practice, who will follow the student’s medication needs throughout the school year. Again, for any help deciding which option might work best for your situation, please contact Kate Tucker, School Nurse. We provide online health registration through our health information software called SchoolDoc. Prior to August 1st, you will receive a welcome email from SchoolDoc which will provide you with a username and password. Please log in using this username and password and follow all instructions for completing ALL necessary health forms. • All students are required to have, and maintain, health insurance coverage during their year at Bridgton Academy. 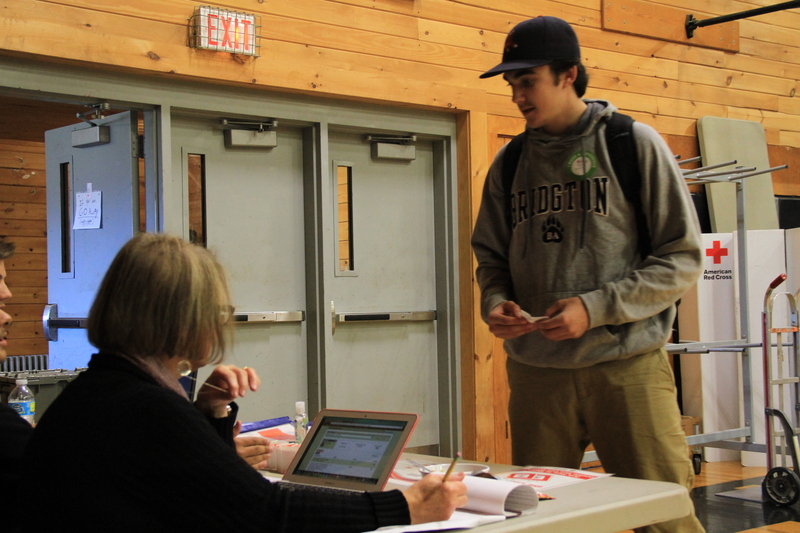 Bridgton Academy does not provide health insurance to students. • A physical examination needs to have been completed within ONE YEAR prior to entering Bridgton Academy. The physical exam form must be signed by a M.D., D.O., PA, or Nurse Practitioner. There are blank physical exam forms provided in SchoolDoc which can be filled out by your doctor OR you are free to use whatever standard form is used by your doctor. You will also be asked to upload or provide a copy of the immunization record. Again, your doctor’s office is welcome to use the BA provided form in SchoolDoc or you can upload the immunization record in whatever form your doctor’s office typically uses. • SchoolDoc will have link for completing online impact testing. This is a concussion test that is mandatory for all athletes and must be completed before the student is able to practice with their team. Even if the student has completed online impact testing in high school, they are still required to do it through the link provided. Impact testing must be done by the student and not by the parent. In order to participate in school activities and athletics upon arrival to campus, it is mandatory that heath registration via SchoolDoc is completed PRIOR to Registration Day which includes proof of health insurance and a physical exam within the last 12 months as well as concussion impact testing.